Improving worker conditions, we were approached by a client who was looking to improve the conditions for their staff who were working at heights. At Anchored, we take worker safety and eliminating fall risks very seriously. Our motto is ‘no one plans to fall. We knew we were the right team for the job, and could provide safety equipment and peace of mind for this client. 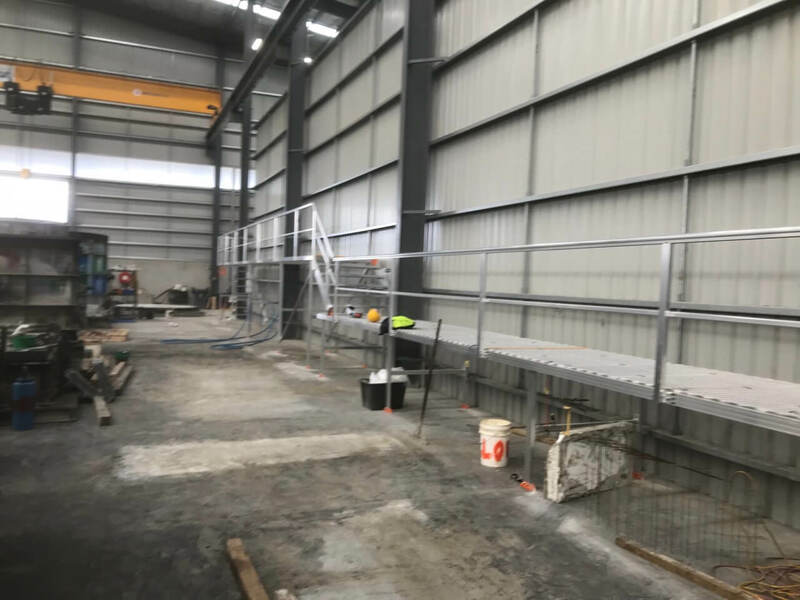 Providing safety and practicality – Height safety is a vital aspect of occupational health and safety in the workplace, so we were tasked with working out a system that would provide safety for the client’s workers every day. 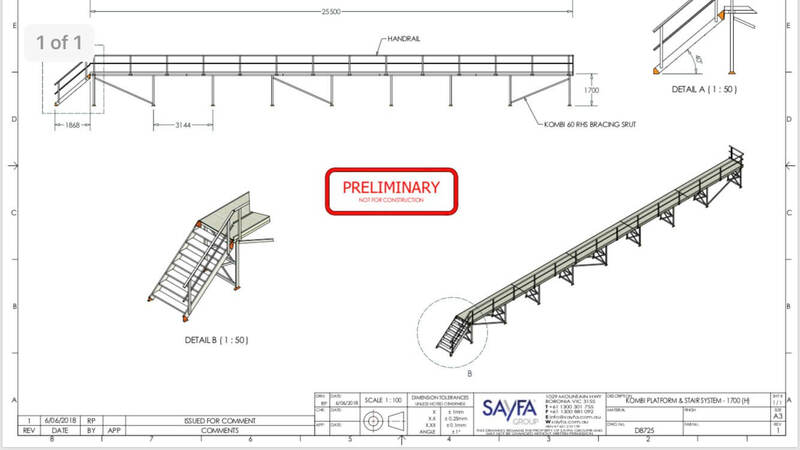 We also wanted this roof platform system to be practical and easy to use on a daily basis. We came up with a custom design for the client that had top safety features, yet did not require sacrificing too much floor space. At Anchored we recognise that there is no one-size-fits-all build. We know the importance of designing and building custom setups that suit the needs of our individual clients. This ensures the client gets the best product for their needs. 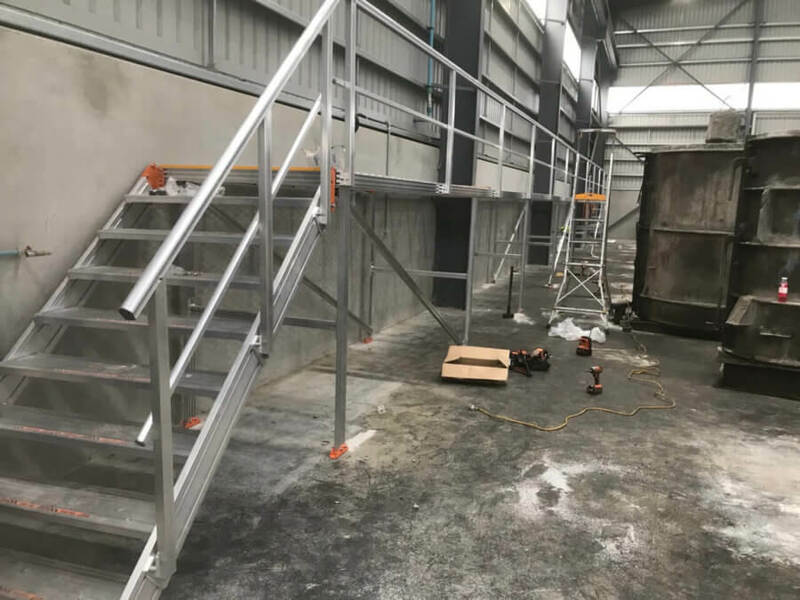 We carried out our installation on the weekend as to not disturb the daily workings of our client, and were able to finish installation in a timely manner. The client was pleased that we were able to accommodate them in this way. At Anchored, we always try our best to accommodate our clients and minimise the time we are disturbing their daily activities, as we recognise how important it is for businesses to continue productivity.